Who should attend the Leadership Academy? All Collegiate Members are encouraged to attend a Leadership Academy. It is especially encourage to those who are currently in leadership positions and/or interested in serving as an Officer and/or Committee Chair, as well as any one who want to enhance their overall leadership skills and Chapter operational practices. Chapter Faculty and Alumni Advisors would also benefit from attending the Leadership Academy. Nationally Inactive Members and Initiates are not eligible to attend. Can Members who previously attended a Leadership Academy go again this year? Absolutely. Programming sessions that have been offered before will have content updates and changes. This year we will also offer new breakout sessions that have not previously been held. Is the Chapter required to send representatives to the Leadership Academy? No, Chapters are not constitutionally required to send representatives. However, it is highly encouraged and recommended that at least two Chapter Members attend a Leadership Academy since it is a part of the Chapter Standards of Excellence under the Chapter Development guiding principle. The registration fee is $49 per person. Every Collegiate Chapter receives one (1) sponsorship to cover the registration fee for one (1) Member attending from the Chapter. The Chapter decides who receives the sponsorship within their Chapter. The Chapter Officers will receive information on how to register this Attendee. We encourage Chapters to take advantage of the “register three Members get 1 for half” opportunity. Transportation and lodging costs are the responsibility of the Attendees and/or the Chapter. The registration fee includes all of the materials, workbook and supplies for Members use, a long-sleeve Leadership Academy t-shirt, reception refreshments on Friday night and breakfast/snack items on Saturday. How do we take advantage of the “register three Members get 1 for half” opportunity? This year we are offering a special promotion, for every three (3) Student Members that register, the Chapter will receive a HALF PRICE registration to bring a fourth Student Member. The registrations must be for the same Leadership Academy location. The half price registration participant must register last using code LA19half. The Chapter can take advantage of this promotion more than once. For instance, if 7 Chapter Members register, the 8th person can register using the half off code. What if the Leadership Academy conflicts with my schedule or my Chapter’s schedule? Leadership Academy will occur on various dates. Each Chapter/Member is able to select which of the five (5) locations best suits them and their Chapter’s schedule. When will registration open and close for the Leadership Academy? Registration will open in October for all five Leadership Academy locations. Registration for ALL locations will close on Sunday, January 6, 2019. Those who register late will occur a $10 late fee. How do we make our hotel reservations and travel arrangements? Transportation and lodging arrangements are the responsibility of the Attendees and/or the Chapter. The National Office will NOT be making the reservations. Each of the five locations has a block of rooms being held for Phi Sigma Pi that offers a special group rate. Reservations can be made online via the link on the location webpage or by calling the hotel. Attendees are not required to stay at the host hotel, though it is highly encouraged since all programming will be held there. Refunds will be made available when refund requests are made in writing and postmarked by the registration deadline. After that point, no refunds will be available, however, you can send another Member in your place at no additional cost. Cancellations or registration transfers may be submitted via email to leadershipacademy@phisigmapi.org. What happens if my Chapter does not use our sponsored registration? The sponsored registration would allow each Chapter to send one (1) Member to attend for free, except for the cost of lodging and transportation. If a Chapter chooses not to take advantage of this leadership opportunity, the funds will be reallocated to support Leadership Academy in other ways. When should we arrive at the Leadership Academy? And when should we plan to leave? Registration opens on Friday at 8:00 PM. Attendees are encouraged to come early to attend the pre-Leadership Academy session, Leadership in Action Facilitator Training. All Attendees should arrive no later than 8:30 PM on Friday to register. The programming will end on Saturday evening around 6:00 PM. Attendees may leave at the close of the Leadership Academy and should not plan to depart anytime sooner. What if inclement weather is forecasted? Should inclement weather conditions occur that would make it unsafe to conduct the Leadership Academy, the National Office will cancel the event. Cancellations will be announced at least 24 hours before scheduled programming begins. All registered Attendees and Volunteers will be notified via email and text message alerts. The cancellation will also be posted on Phi Sigma Pi’s website and social media pages. In the event of a cancellation, registration fees will be partially refunded as alternative programming and resources will be made available to those who registered. Leadership Academy materials, resources and a t-shirt would be mailed to each registered Attendee. 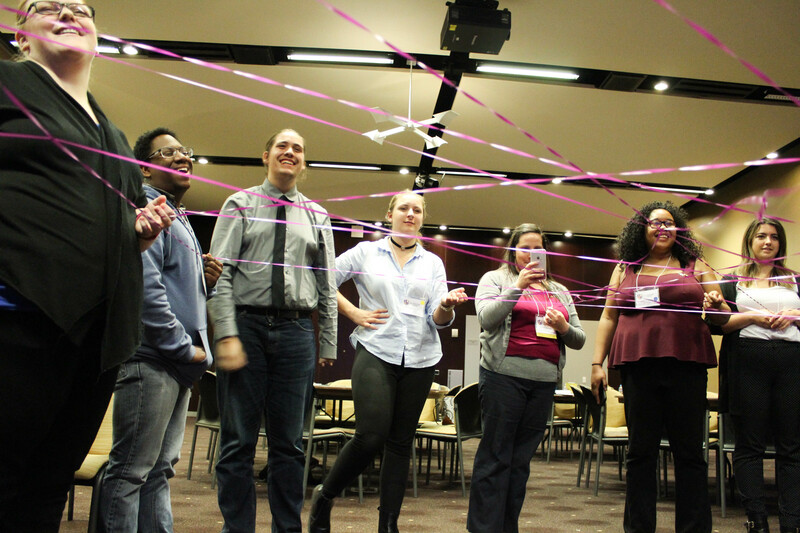 What fellowship opportunities will there be during the Leadership Academy? 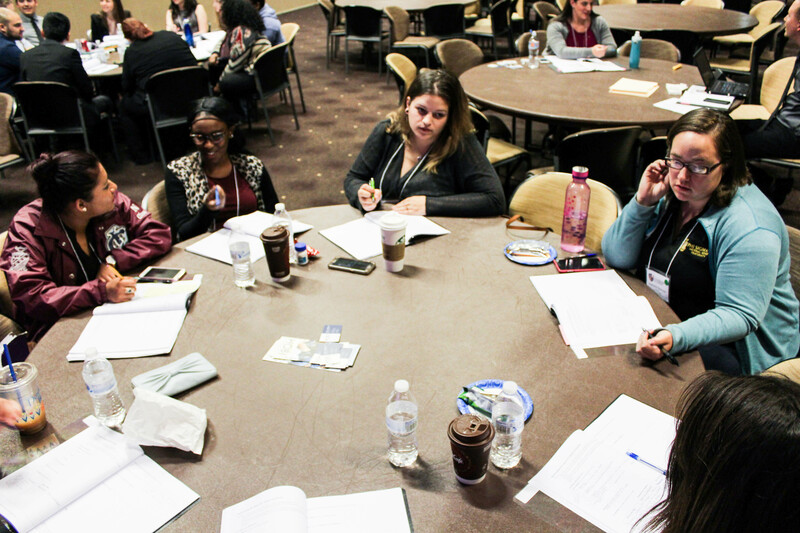 Throughout the program there will be interactive sessions that will allow Members to network with Attendees from other Chapters, this includes: roundtables, programming sessions, breaks and the welcome reception on Friday. Meals are also a great opportunity for Members to spend time getting to know one another. What is the attire for the Leadership Academy? Since the Leadership Academy is a professional program, Attendees are asked to wear business casual clothing (no jeans) for the main programming on Saturday. Friday evening is casual attire. Can Alumni volunteer for the Leadership Academy? Yes. The volunteer role will include assisting with event operations and facilitating group discussions and programming. If are interested in volunteering, you can submit the application at phisigmapi.org/volunteer. 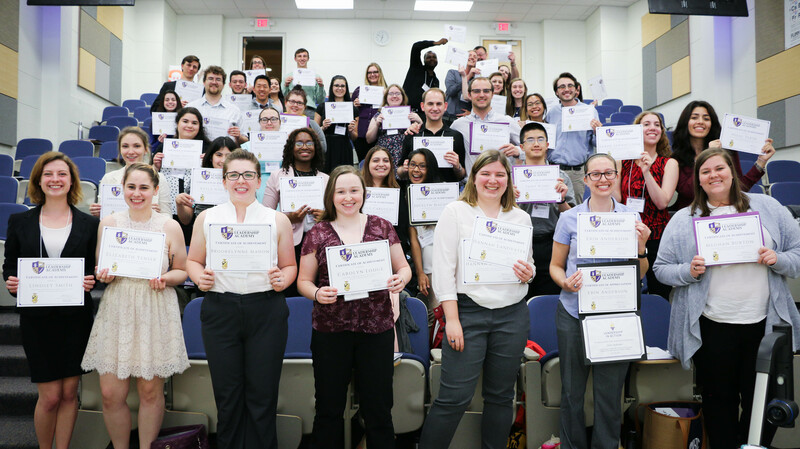 If you have further questions about your specific Leadership Academy location or the program in general, please contact the National Office at 717-299-4710 or leadershipacademy@phisigmapi.org.